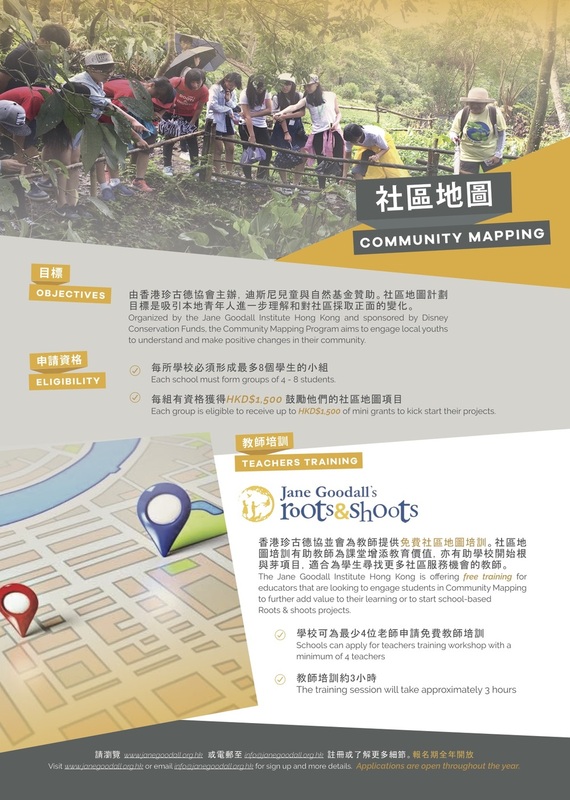 Brand new JGI-HK program Community Mapping is launching! We are offering free teachers training as well as mini grants. It is perfect for those looking for ways to engage youths in community action or start Roots & Shoots projects. Applications are open all year. Please register here or contact us for more details.